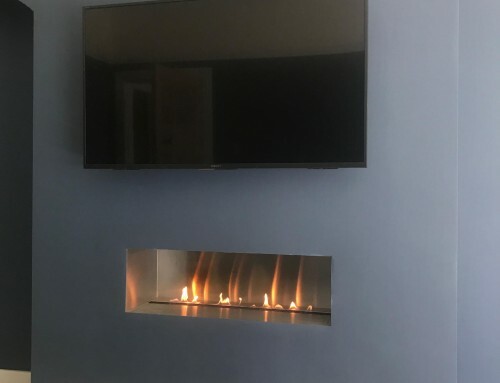 Customer Installation : Corner Fireplace Design using Fire Bowl. 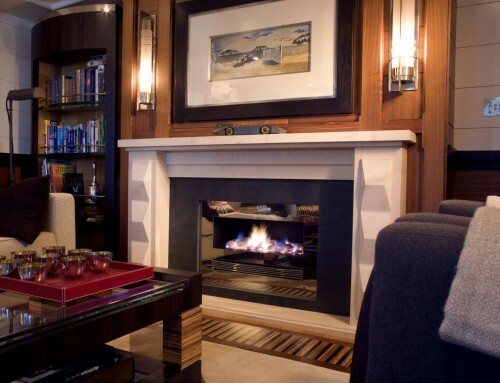 Private Residence : Marbella, Spain. 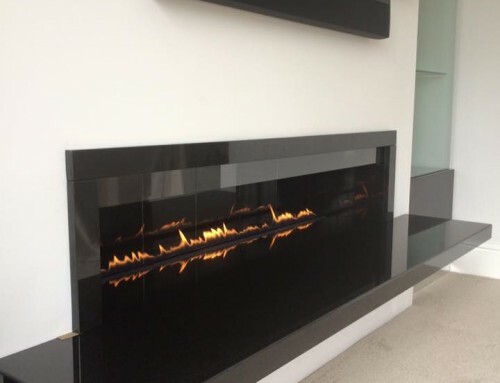 Design Requirements – Two sided gas fireplace with plinth and enclosure in natural stone. Using the same stone as the floor. 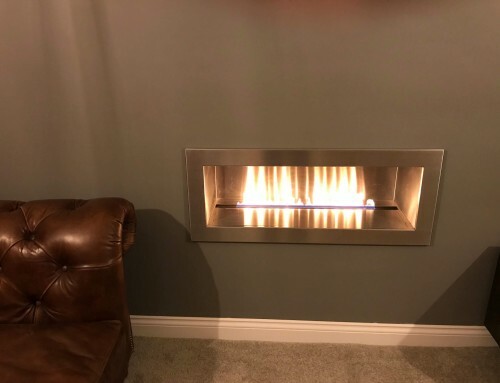 Design – The simple clean lines of the Gas Fire bowl is used in this Apartment to create a very distinctive Contemporary look. 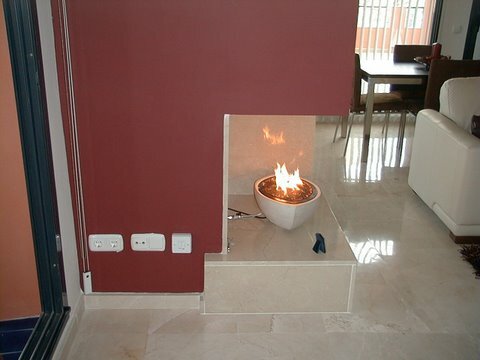 The Remote Control Fire bowl is placed on a Plinth to raise the bowl and create a feature. 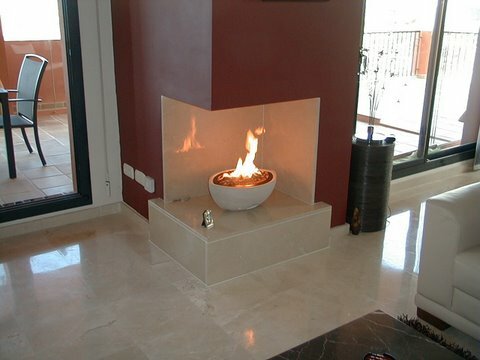 The gas fire is a small oval gas fire bowl in white stone operated by remote control. The Fire is to run off LPG gas bottles. 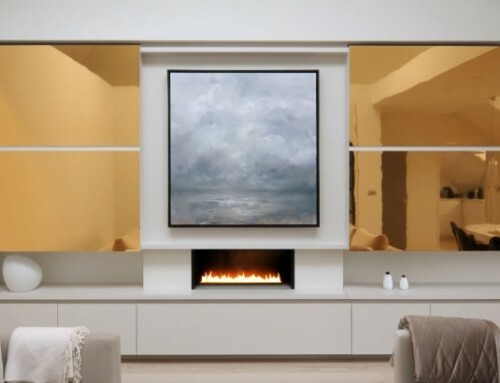 The CVO range of gas fires includes contemporary and traditional fireplaces for all homes with or without a chimney : chimney fires, high efficiency gas fires, ethanol fires, flueless gas fires, and balanced flue gas fires. 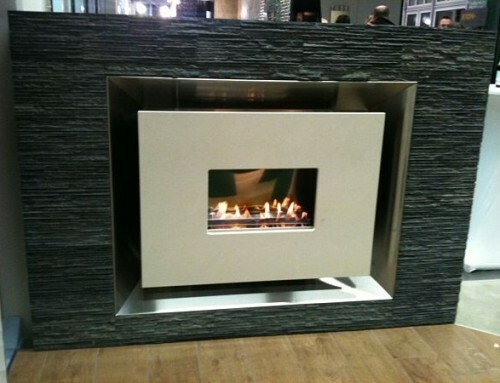 All our contemporary gas fires are designed and manufactured in the UK.